You are currently browsing the tag archive for the ‘local foods’ tag. I travelled there last summer for work and was lucky enough to have a few days to spare on the Dalmatian coast. It’s a beautiful area: Split is a funky city built around a Roman palace and is surrounded by twisty medieval towns and a series of barely-populated islands. Tony, our host, lives in a bungalow surrounded by lemon and almond trees and a lawn strewn with camomile. On arriving, he offered us pasta and apologized for its simplicity. This is Croatian simplicity: the pasta was made with his mother’s home-made olive oil, home-grown tomatoes, and was served with wild asparagus and capers foraged from his family’s island home. I probably don’t need to mention it was sublime. The next day, our group set off for the island by car, ferry, and then a long walk. Tony’s family live in a dry-stone house that his grandfather and father built themselves. There’s no running water or electricity – it’s a hard life, there’s no getting away from it, and most of the village has been deserted by a younger generation eager to move to the modern comforts of the mainland. But the house is a thing of genuine beauty with a stone oven, abundant vegetable and flower garden, and outdoor dining area. 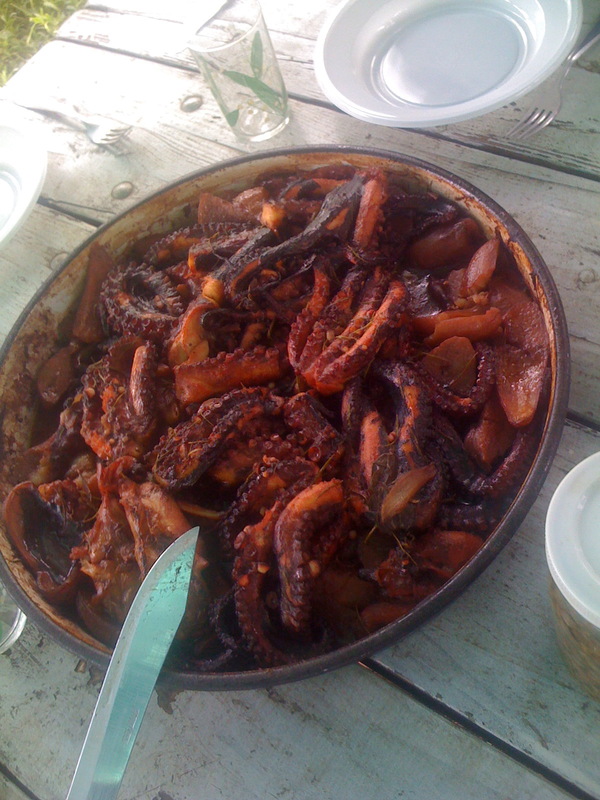 Tony’s mother greeted our arrival with a giant pan of succulent octopus braised in red wine. 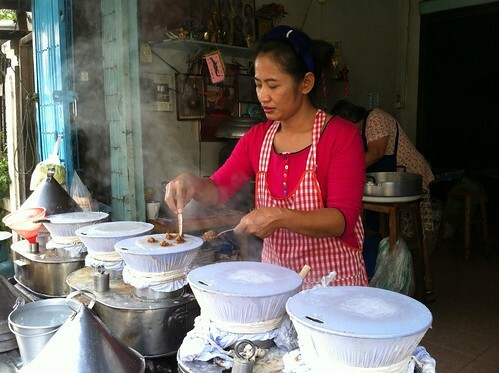 She was surprised the foreigners liked the octopus as many local young people have turned away from traditional foods. The next day, half of our group got up at 5am to pick capers and the other half went to the beach to forage a herb called motar, which is similar to samphire, but with lemony notes. 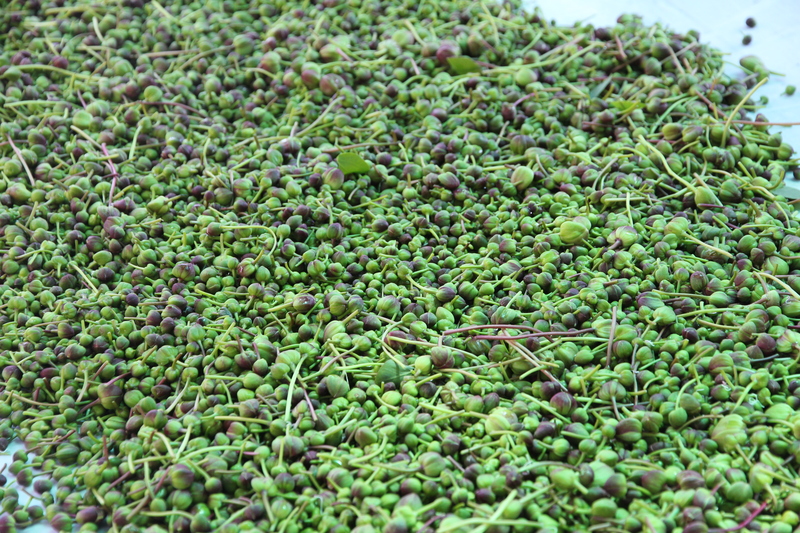 Back at base, we spent the afternoon and late into the evening prepping our haul: picking the stems off the capers and breaking down the motar into bite-size fronds. Tony’s mother again fed us well, this time with grilled sardines and salad. By the time we were done it was past midnight and we had filled dozens of jars. We fell into bed, exhausted, and left the following morning, but not before Tony’s mum presented each of us with a jar of capers and one of motar. Keep them for three months before you eat, she warned. These pickled flowers and herbs are a mainstay of rural Croatian life, and we were all touched by her gesture. I’ve been sprinkling the capers and motar on meats and pastas since August, and each time recalling the hard work and generosity of the people for whom this harvest is a way of life, rather than a vacation.